Mayor Rahm Emanuel and Chicago Public Library (CPL) Commissioner Brian Bannon announced results from a Chapin Hall Collaborative analysis indicating that the Library’s Teacher in the Library (TIL) program is serving youth in Chicago who have the greatest need for additional educational support. 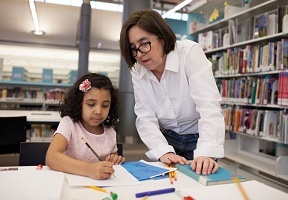 Chicago Public Library offers the largest and most comprehensive free homework help program in the country, supplementing in-person support from a certified “Teacher in the Library” citywide with online tutoring for any subject or writing assignment. Accredited teachers and trained assistants work with students to use the appropriate learning strategies and find the best resources for completing their homework assignments. Analysis from Chapin Hall’s first match of TIL data with Chicago Public Schools (CPS) data found that on average, youth participating in the program are less likely to be academically proficient than their peers before engaging in the program, as measured by standardized tests in math and reading. CPL’s Teacher in the Library program is privately funded with support from the Chicago Public Library Foundation. 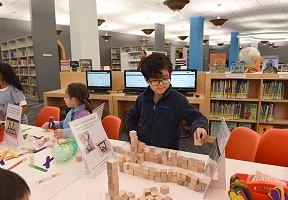 To learn more about TIL and other educational resources at the library, visit chipublib.org/HomeworkHelp.